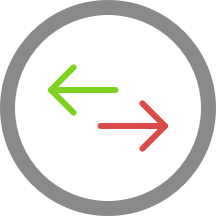 The Boavista - Belenenses (Football - Liga NOS) match in 31/03/2019 15:00 is now complete. It's 2 - 0 as the referee blows for full-time. In Porto, Alhassane Keita of CF Os Belenenses is presented with a shooting opportunity. But the strike is blocked by the covering defence. 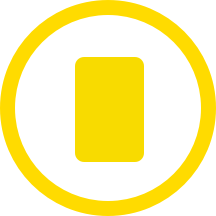 At Estadio do Bessa XXI, Perdigao has been yellow-carded for the home team. Throw-in for CF Os Belenenses in the half of CF Os Belenenses. CF Os Belenenses drive forward and Diogo Viana gets in a shot. Without netting, however. Free kick CF Os Belenenses. Can CF Os Belenenses get the ball into an attacking position from this throw-in in CF Os Belenenses's half? CF Os Belenenses awarded a free kick in their own half. Corner awarded to CF Os Belenenses. At Estadio do Bessa XXI the fourth official shows that 8 minutes will be added to the second half. The home team have replaced Yusupha Njie with Federico Falcone. This is the third substitution made today by Lito Vidigal. Boavista FC have a goal kick. Goal! Mateus extends Boavista FC's lead to 2 - 0. CF Os Belenenses have been awarded a corner by Nuno Miguel Serrano Tavares Almeida. CF Os Belenenses push forward at Estadio do Bessa XXI and Andre Santos gets in a strike. This is blocked, however, by a determined Boavista FC defence. Perdigao is replacing Gustavo Sauer for Boavista FC at Estadio do Bessa XXI. Rafael Bracalli is back on his feet again. The match in Porto is underway once more. The match at Estadio do Bessa XXI has been interrupted briefly for a check on Rafael Bracalli, who is down injured. Alberto Bueno is back on the pitch. Attention is being given to Boavista FC’s Alberto Bueno and play has been suspended briefly. Lito Vidigal (Boavista FC) is making a first substitution, with Alberto Bueno replacing Fabio Espinho. Nuno Miguel Serrano Tavares Almeida signals a throw-in for Boavista FC, close to Boavista FC's area. Boavista FC needs to be cautious. Boavista FC have an attacking throw-in. CF Os Belenenses awarded a throw-in in their own half. Diogo Viana of CF Os Belenenses smashes in a shot on target. The keeper saves, though. Nuno Miguel Serrano Tavares Almeida signals a free kick to CF Os Belenenses. Nwankwo Obiora (Boavista FC) has received a yellow card from Nuno Miguel Serrano Tavares Almeida. Goal kick for CF Os Belenenses at Estadio do Bessa XXI. Free kick for CF Os Belenenses in the half of Boavista FC. Free kick for CF Os Belenenses in their own half. CF Os Belenenses make their third substitution with Kiki replacing Zakarya Bergdich. Nuno Miguel Serrano Tavares Almeida signals a Boavista FC throw-in in Boavista FC's half. CF Os Belenenses advance rapidly upfield but Nuno Miguel Serrano Tavares Almeida blows for offside. Boavista FC push upfield but Nuno Miguel Serrano Tavares Almeida quickly pulls them for offside. Zakarya Bergdich (CF Os Belenenses) gets a yellow card. Can CF Os Belenenses capitalize from this throw-in deep inside CF Os Belenenses's half? In Porto a free kick has been awarded the home team. Boavista FC's Rafael Costa breaks free at Estadio do Bessa XXI. But the strike goes wide of the post. Nuno Miguel Serrano Tavares Almeida awards CF Os Belenenses a goal kick. Gustavo Sauer has recovered and rejoins the match in Porto. Throw-in for CF Os Belenenses at Estadio do Bessa XXI. Play has been resumed at Estadio do Bessa XXI. Nuno Miguel Serrano Tavares Almeida signals a free kick to Boavista FC in their own half. Gustavo Sauer is writhing in pain and play has been suspended for a few moments. Silas is making the team's second substitution at Estadio do Bessa XXI with Matija Ljujic replacing Jonatan Lucca. Nuno Miguel Serrano Tavares Almeida signals a free kick to Boavista FC. Nuno Miguel Serrano Tavares Almeida awards Boavista FC a goal kick. In Porto Boavista FC attack through Mateus. The finish is off target, however. Ball goes out of play for a CF Os Belenenses goal kick. Alhassane Keita is replacing Nuno Coelho for the away team. Goal kick for Boavista FC at Estadio do Bessa XXI. Nuno Miguel Serrano Tavares Almeida signals a throw-in for CF Os Belenenses, close to CF Os Belenenses's area. Andre Santos for CF Os Belenenses gets in a strike but fails to hit the target. CF Os Belenenses needs to be cautious. 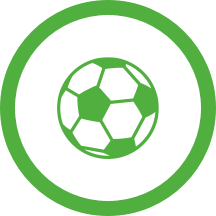 CF Os Belenenses have an attacking throw-in. Goal! Yusupha Njie gives Boavista FC a 1 - 0 lead. Mateus with an assist there. Nuno Miguel Serrano Tavares Almeida signals a free kick to CF Os Belenenses in their own half. Boavista FC have been awarded a corner by Nuno Miguel Serrano Tavares Almeida. Boavista FC surge into the attack at Estadio do Bessa XXI but Rafael Costa’s header is off-target. Free kick for Boavista FC in the half of CF Os Belenenses. The second-half is underway at Estadio do Bessa XXI. Boavista FC's Yusupha Njie gets his shot away but it misses the target. Boavista FC's Mateus gets in a shot on goal at Estadio do Bessa XXI. But the effort is unsuccessful. 3 minutes will be added to the first half. Nuno Miguel Serrano Tavares Almeida signals a CF Os Belenenses throw-in in CF Os Belenenses's half. Gustavo Sauer gets his shot on target but fails to score for Boavista FC. Boavista FC's Mateus gets in a shot but it is blocked by a CF Os Belenenses defender. Throw-in for CF Os Belenenses close to the penalty box. Lica of CF Os Belenenses is pulled up for offside. Throw-in for CF Os Belenenses in their own half. In Porto Boavista FC attack through Gustavo Sauer. The finish is off target, however. Important block from the CF Os Belenenses defence as Rafael Costa fires in a strike for Boavista FC. CF Os Belenenses are caught offside. Boavista FC are pushing forward but Yusupha Njie's finish is wide of the goal. Gustavo Sauer for Boavista FC gets in a strike but fails to hit the target. Yusupha Njie for Boavista FC is back on the field again. Play has been interrupted briefly in Porto to check on Yusupha Njie, who is grimacing with pain. Gustavo Sauer returns to the field for Boavista FC after picking up a slight injury. CF Os Belenenses's Vincent Sasso is back in action after a slight knock. Ball safe as CF Os Belenenses is awarded a throw-in in their half. Play has been temporarily suspended for attention to Vincent Sasso for CF Os Belenenses who is writhing in pain on the pitch. Nuno Miguel Serrano Tavares Almeida waits before resuming play because Gustavo Sauer for Boavista FC is still down. The match at Estadio do Bessa XXI is underway again. Eduardo Henrique is back on his feet again. The match at Estadio do Bessa XXI has been interrupted briefly for a check on Eduardo Henrique, who is down injured. CF Os Belenenses to take a throw-in in CF Os Belenenses territory. Lica for CF Os Belenenses drives towards goal at Estadio do Bessa XXI. But the finish is unsuccessful. Rafael Costa of Boavista FC gets in a strike, but is off target. CF Os Belenenses have a goal kick. The team line-ups for today's match at Estadio do Bessa XXI are now available.